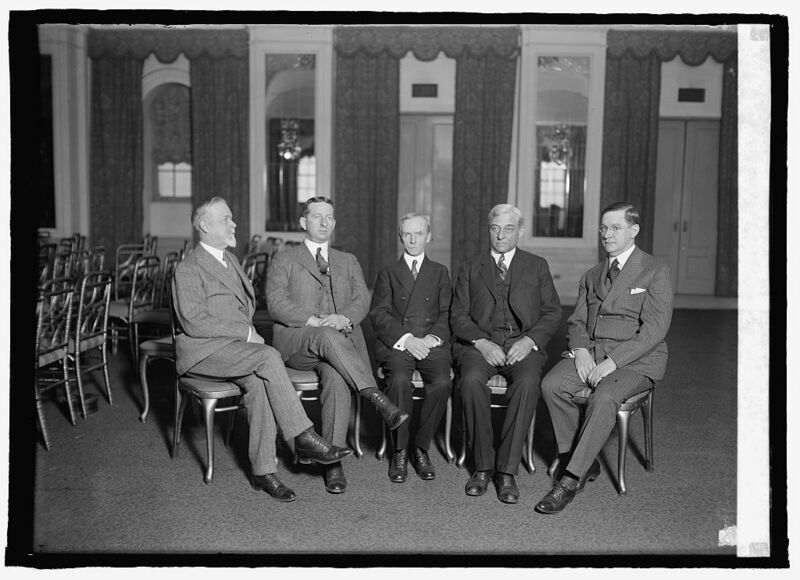 The officers of the American Society of Newspaper Editors taken at the Willard, January 16, 1925. Caspar S. Yost of the Globe-Democrat, President of the Association, sits in the center chair. Coolidge would speak to the entire assembly the following day. Courtesy of the Library of Congress. The relationship between governments and the press has always been recognized as a matter of large importance. Wherever despotism abounds, the sources of public information are the first to be brought under its control. Where ever the cause of liberty is making its way, one of its highest accomplishments is the guarantee of the freedom of the press. It has always been realized, sometimes instinctively, oftentimes expressly, that truth and freedom are inseparable. An absolutism could never rest upon any thing save a perverted and distorted view of human relationships and upon false standards set up and maintained by force. It has always found it necessary to attempt to dominate the entire field of education and instruction. It has thrived on ignorance. While it has sought to train the minds of a few, it has been largely with the purpose of attempting to give them a superior facility for misleading the many. Men have been educated under absolutism, not that they might bear witness to the truth, but that they might be the more ingenious advocates and defenders of false standards and hollow pretenses. This has always been the method of privilege, the method of class and caste, the method of master and slave. 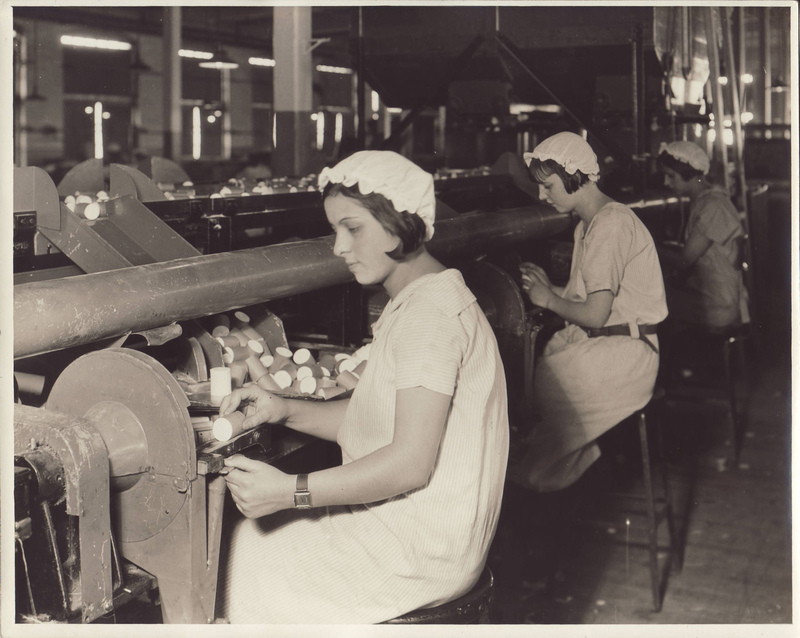 American women at work in a mill, late 1920s. The public press under an autocracy is necessarily a true agency of propaganda. Under a free government it must be the very reverse. Propaganda seeks to present a part of the facts, to distort their relations, and to force conclusions which could not be drawn from a complete and candid survey of all the facts. It has been observed that propaganda seeks to close the mind, while education seeks to open it. This has become one of the dangers of the present day. The great difficulty in combating unfair propaganda, or even in recognizing it, arises from the fact that at the present time we confront so many new and technical problems that it is an enormous task to keep ourselves accurately informed concerning them. In this respect, you gentlemen of the press face the same perplexities that are encountered by legislators and government administrators. Whoever deals with current public questions is compelled to rely greatly upon the information and judgments of experts and specialists. Unfortunately, not all experts are to be trusted as entirely disinterested. Not all specialists are completely without guile. In our increasing dependence on specialized authority, we tend to become easier victims for the propagandists, and need to cultivate sedulously the habit of the open mind. No doubt every generation feels that its problems are the most intricate and baffling that have ever been presented for solution. But with all recognition of the disposition to exaggerate in this respect, I think we can fairly say that our times in all their social and economic aspects are more complex than any past period. We need to keep our minds free from prejudice and bias. Of education, and of real information we cannot get too much. But of propaganda, which is tainted or perverted information, we cannot have too little…And so I have conceived that the news, properly presented, should be a sort of cross section of the character of current human experience. 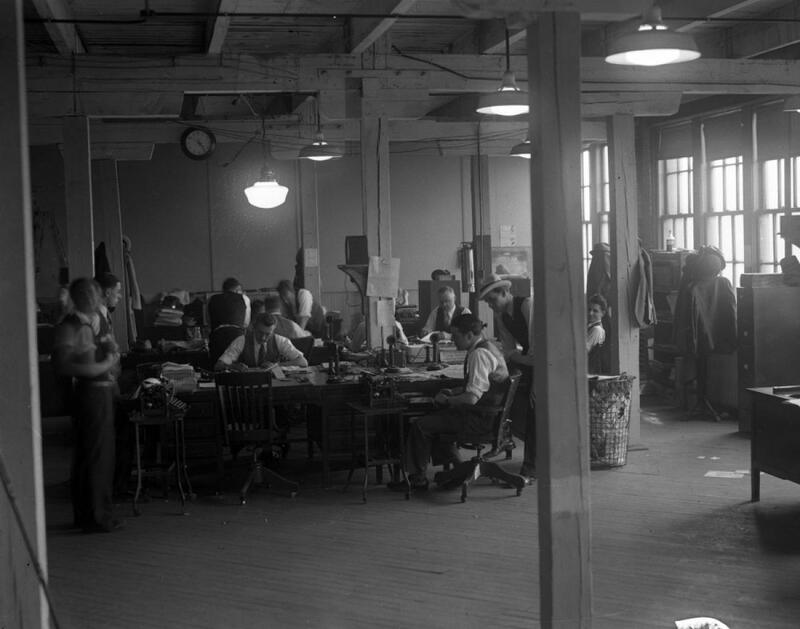 The New York Daily News editorial department, 1920s. Our American newspapers serve a double purpose. They bring knowledge and information to their readers, and at the same time they play a most important part in connection with the business interests of the community, both through their news and advertising departments...When I have contemplated these adjustments of business and editorial policy, it has always seemed to me that American newspapers are peculiarly representative of the practical idealism of our country. He illustrates this with the disagreement over publishing individual income returns in the news. The facts had been faithfully reported in the news columns while at the same time the editorial pages gave full vent to the dissent that such information should be available at. In this way, Coolidge explains, “As practical newsmen they printed the facts. As editorial idealists they protested that there ought to be no such facts available.” In this way they represented the “practical idealism” of America as opposed to assuming the fiction or inconsistency of merely objective non-participants. The news had a stake in the game, as it were, and should not be in denial of practical realities for the good of the country. 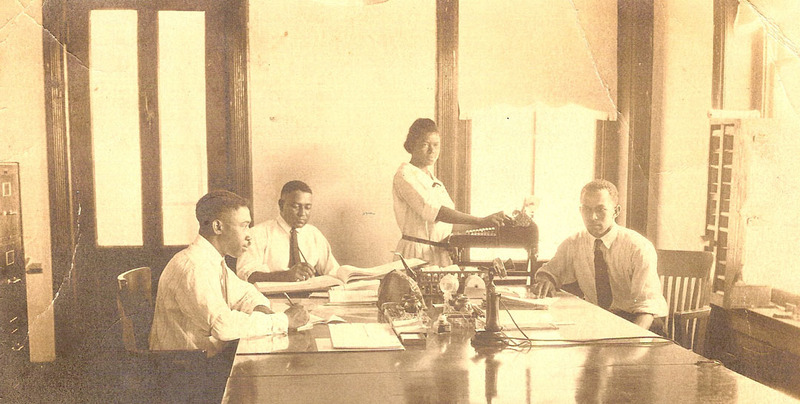 Snapshot from a business office in Hempstead, Texas, 1920s. There does not seem to be cause for alarm in the dual relationship of the press to the public, whereby it is on one side a purveyor of information and opinion and on the other side a purely business enterprise. Rather, it is probable that a press which maintains an intimate touch with the business currents of the nation, is likely to be more reliable than it would be if it were a stranger to these influences. After all, the chief business of the American people is business. They are profoundly concerned with producing, buying, selling, investing and prospering in the world. I am strongly of opinion that the great majority of people will always find these are moving impulses of our life. Coolidge was not done, though many are content to cut him off then and there, as if no more context was necessary. If the characterization held true, Coolidge would launch into an unqualified defense of marrying politics with business. He does not do so. He explains the many practical benefits that accrue when those who have accumulated wealth voluntarily give it to others, not have it confiscated or exchange it for access to the public treasury. It manifests in the private endowment of schools, the quality of education that results, the encouragement of scientific inquiry, “the broadening of outlook, the expansion of liberties, the widening of culture.” All of life does not, and should not, flow through Washington. Life was so much more to Coolidge than what government’s little part of it. People did not start their day with an agenda or tone dispatched from Washington. They went about their work and responsibilities with barely an acknowledgement that D.C. existed. To Cal, this was not something to change but to praise and promote as the way things ought to be. The news needed to reflect this practical reality instead of distorting the picture with a lopsided or disproportionate coverage of the anomalies of society and abstractions of theory. America was not merely a national government, it was a people, a culture, a vibrant reality where promoting liberty and service were far more important than the slowly encroaching bureaucratization of daily existence. 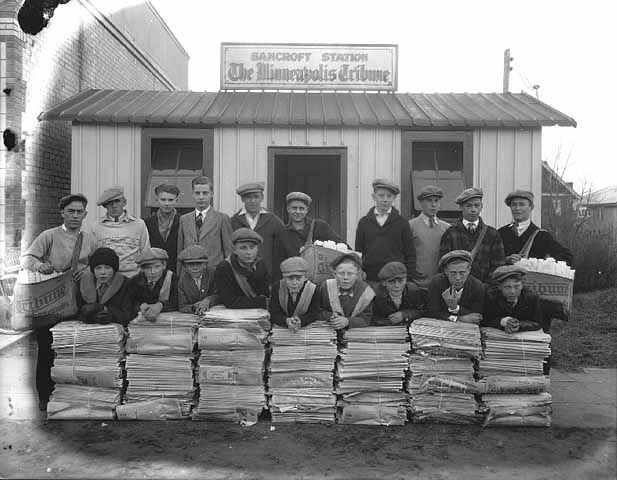 Team of “newsies” in 1925 not far from where Caspar S,. Yost and several other editors first embarked on the trek west in 1912 that would reveal Yost’s vision to form an “ethical organization” bringing together individuals committed to elevating the standards and purpose of the news business. Yost’s idea would be realized with the founding of the American Society of Newspaper Editors in 1922. 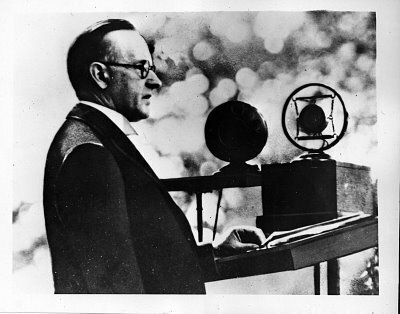 Yost served as its first president and invited President Coolidge to address the group on its third anniversary. It can safely be assumed that self interest will always place sufficient emphasis on the business side of newspapers, so that they do not need any outside encouragement for that part of their activities. Important, however, as this factor is, it is not the main element which appeals to the American people. It is only those who do not understand our people, who believe that our national life is entirely absorbed by material motives. We make no concealment of the fact that we want wealth, but there are many other things that we want very much more. We want peace and honor, and that charity which is so strong an element of all civilization. The chief ideal of the American people is idealism. I cannot repeat too often that America is a nation of idealists. That is the only motive to which they ever give any strong and lasting reaction. No newspaper can be a success which fails to appeal to that element of our national life. It is in this direction that the public press can lend its strongest support to our Government. I could not truly criticize the vast importance of the counting room, but my ultimate faith I would place in the high idealism of the editorial room of the American newspaper. 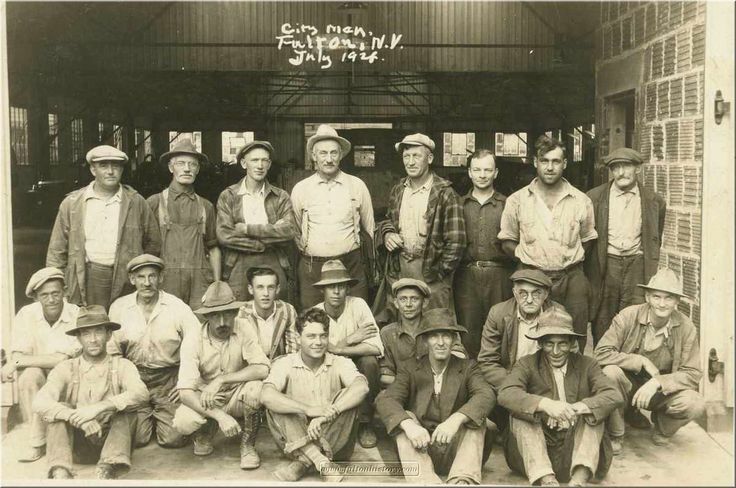 American work crew, 1924. Courtesy of Fulton History. We deprive ourselves when we fail to grasp Coolidge’s full meaning and impose a mold into which his words and his character is supposed to fit. 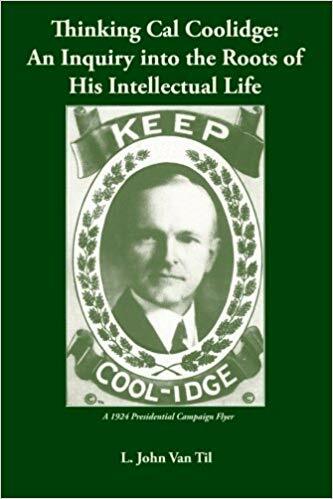 Papers like The New York Times and networks like CNN (and the case could be made for Fox News), now so enslaved to their political cause, have long abandoned the real world and practical understanding that Coolidge lauded in the news of his day. Many are proudly committed to this fantasy world because it adheres to their self-righteous purity in their political “old-time religion.” They have gladly entered a suicide pact believing reality and the American people be condemned, they will hold fast to the Faith of their impractical worldview. No paper, network, or individual correspondent will avoid becoming obsolete which (or who) does not give proper place to the ideals that motivate and engage the American people. That is why we are experiencing a passing of the old media and rise of the new but that new resonates for the very reason Coolidge cites. It lives in the practical reality of daily life. As long as the media of today understands America and its ideals, continues to engage in the business of living as the rest of us do, it will remain worthy of freedom, and contribute to the genuine advance of human life. That is the takeaway from this speech, proof that Cal said so much more than the tepid and empty “business” line which has mischaracterized him too long. 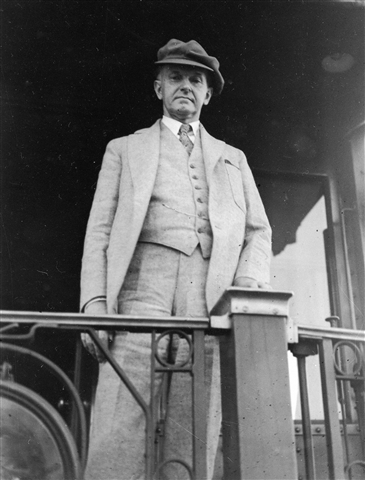 President Coolidge on his way to Wisconsin, 1928.